Euro NCap released the safety ratings of nine cars that include the likes of the Audi Q3, BMW X5, Hyundai Santa Fe, Jaguar I-Pace, Peugeot 508, Volvo V60 and its partner, the S60, all achieve a maximum five-star rating. However, two FCA vehicles – Fiat’s ageing Panda and Jeep’s all-new Wrangler – get zero stars and one star respectively. The Panda, last tested in 2011, has now been comprehensively overtaken by rival superminis in the race for safety. With nothing more than a seat-belt reminder scoring points in Euro NCap’s Safety Assist box, the vehicle fails to reach even a single star, a dubious distinction matched only by the Punto in 2017. In contrast, the four-wheel drive off-road Jeep Wrangler is an all-new vehicle, fresh to the market in 2018. With a seat-belt reminder and a simple driver-set speed limiter but no other form of driver-assistance system, the Wrangler clears the one-star threshold but lags far behind its competitors. "It is truly disappointing to see a brand-new car being put on sale in 2018 with no autonomous braking system and no lane assistance. It is high time we saw a product from the FIAT-Chrysler group offering safety to rival its competitors," says Michiel van Ratingen. But even some five-star vehicles had problems. Euro NCAP’s tests on the Hyundai Santa Fe highlighted an issue where the side curtain airbags of cars equipped with a panoramic roof could be torn during deployment. In response, Hyundai has already changed the airbag fixings in production and early cars are subject to an official recall. Owners of such vehicles will be contacted by the manufacturer and should make sure they take their cars to dealers to be re-worked. 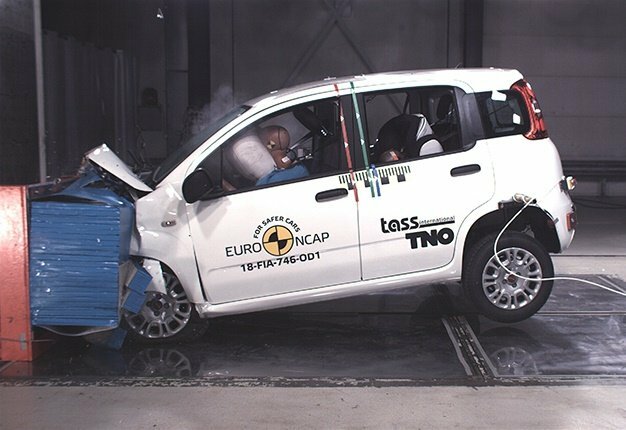 "Despite the work done by manufacturers during the development of their vehicles, Euro NCap still sees a lack of robustness in some basic areas of safety. "To be fair, the Audi Q3, Jaguar I-Pace, Peugeot 508 and Volvo V60/S60 have set the standard against which others are judged this time, and other manufacturers could do well to follow their example. The I-PACE, especially, demonstrates that future vehicles will be good for the environment but also provide high levels of safety," concludes van Ratingen.